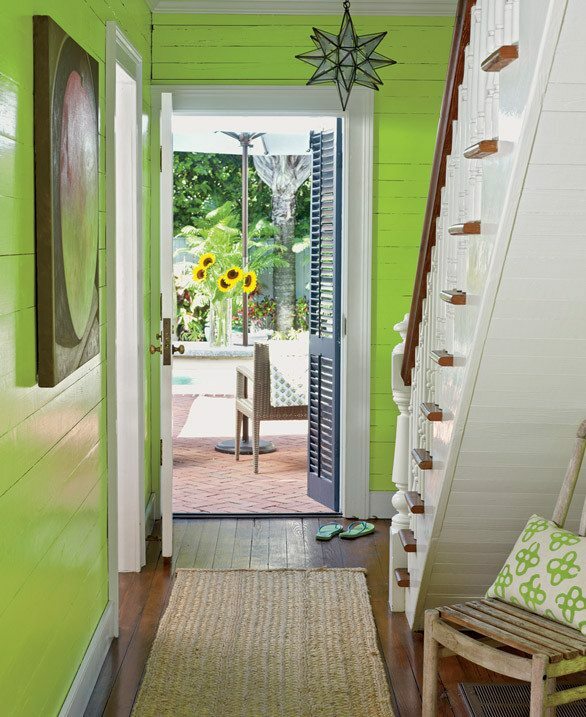 A peek inside one of the many small cottage homes in Key West, Florida. 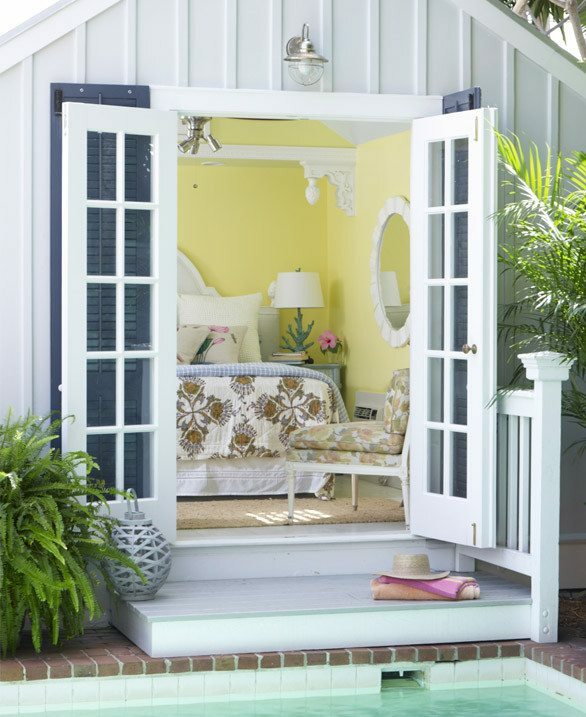 It’s cozy, it’s cute, and all about relaxed island style living! 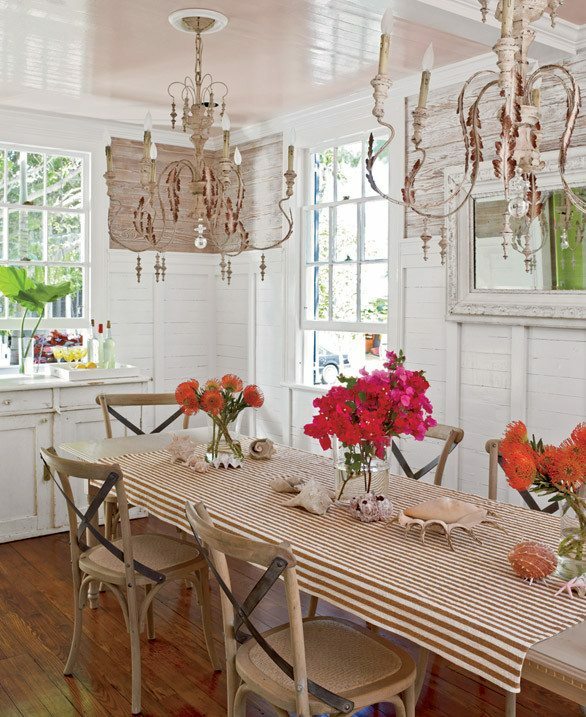 Small in scale, but big in charm, this Key West cottage home reflects the island style of its surroundings. 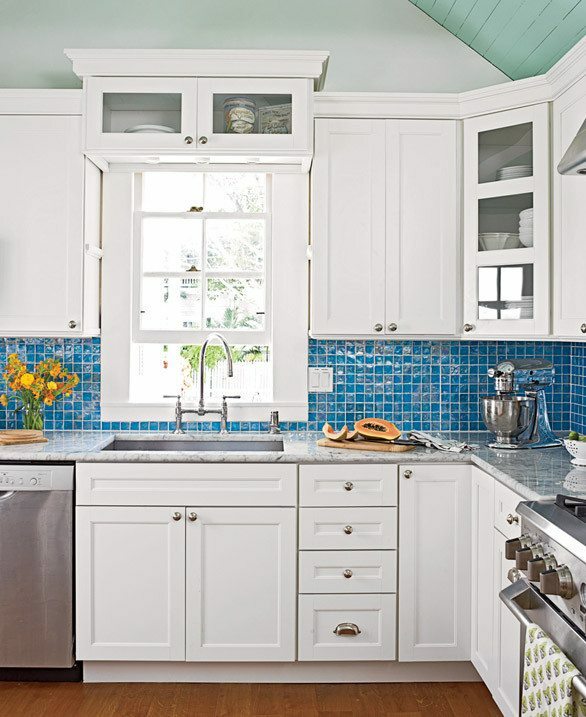 Fresh blue, yellow and green are the Colors used, along with lots of natural materials. 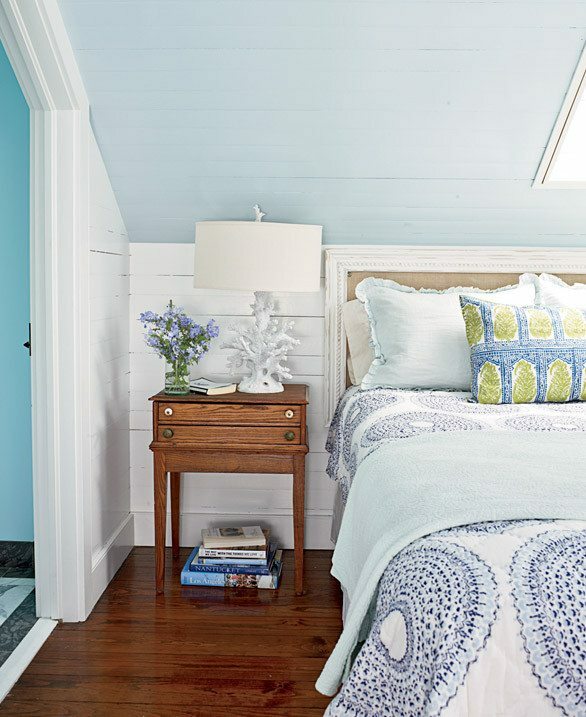 The pale blue ceiling in the bedroom is dreamy, and the wood flooring throughout the cottage is gorgeous. 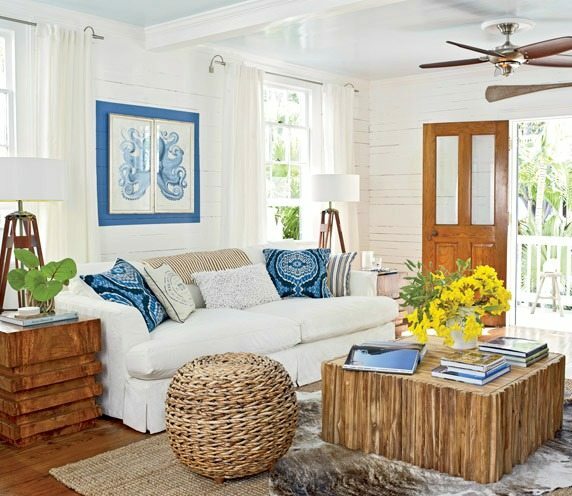 A perfect cozy abode where you can kick back and enjoy island style living. Via Wayfair.